Dr. Anthony Stevens is an internationally respected analyst, psychiatrist and author. A graduate of Oxford University, he has a Doctorate in Medicine and two degrees in psychology. He is a member of the Royal College of Psychiatrists and a senior member of the Independent Group of Analytical Psychologists. Anthony Stevens is the author of numerous books and papers on psychology, psychotherapy, evolutionary psychiatry and the contribution of analytical psychology to healing and the enhancement of life. "The Jungian as Scientist and Humanist: A Special Day Honoring Anthony Stevens"
French translation of "The Roots of War and Terror" by Myriam Legrand: "Les Racines de la Guerre et de la Terreur". Available as a free e-book: DOWNLOAD HERE. 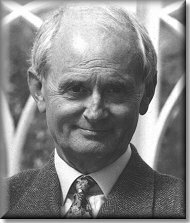 A selection of papers and chapters from the course of Anthony Stevens' career highlighting episodes in the progress of his quest to place archetypal theory on a sound scientific foundation. 14 May 2010 - International Conference "Albert Cohen: The life and work of Albert Cohen"
"Examines how the major schools of psychodynamic theory grew out of the psychology of their charismatic founders and have subsequently turned into rival “sects”. How may the differences between them be transcended?" "Provides profound insights into the nature and origins of armed conflict, locating the problem primarily in the psychology and anatomy of the human male." This classic text is a ground-breaking revelation of the links between Jung’s archetypes of the collective unconscious and evolutionary disciplines such as animal ecology and evolutionary psychology. A far-ranging introduction to archetypes in theory and practice. Cult leaders inspire intense loyalty among their followers, yet they strike outsiders as half mad. Why are there so many of them? And why do they and their crazy ideas proliferate? "When the first edition of this book appeared (1996), I rated it among the top 25 books of the decade." Hagop S. Akiskal, M.D., Editor-in-Chief, Journal of Affective Disorders. "Stevens has a unique capacity for relating myths and symbols to the way our minds function today." -Anthony Storr. "Stevens presents vast learning easily and precisely in prose that is at once calm and exciting." -E. James Lieberman. "Those who wish to get the latest synopsis of the way our evolution has shaped our mentality can do no better than read Anthony Stevens’s book." M.R.A. Chance, Editor of Social Fabrics of the Mind. An intimate and dramatic account of a residential therapeutic community which pioneered the use of art therapy and Jungian analysis in a family setting.